Now that I’m writing about all sorts of things, including a personal column, cultural articles as well as social justice issues, I decided to create a more general webpage. This will provide links to The Internal Conflict as well as showcase my other writing. 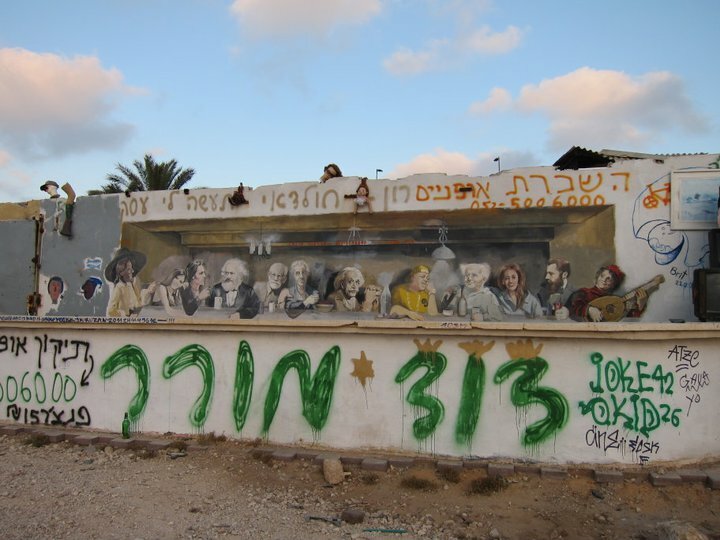 Street art on Tel Aviv beach; Photo taken by Tom Rosbrow (my Dad)! This entry was posted in Blog by Laura Rosbrow. Bookmark the permalink. Happy 4th of July. This is a great idea, and I love having pictures to see what you’re seeing.